I have a bit of a love hate relationship with my home city of Sydney. In the hate camp, is the fact, that the city is overpriced, congested, mindlessly pro-developer and money obsessed. On the love side, parts of it are just so heart meltingly beautiful you forget about all the bad stuff. Sydney is ringed all all sides by gobsmacking natural beauty, there’s the famous (slightly over exposed) beauty of the harbour but there’s also the Blue Mountains, Hawkesbury River and the south and north coastline and beaches. I live in a pleasant, leafy inner west suburb far from the stunning beauty spots Sydney is famous for but most of these scenic hot spots are easily accessible by train, bus or ferry.This brings to me other favourite things about Sydney which is Opal Sundays. The Opal card is the smart card ticketing system for NSW public transport and on Sundays they have an all day ticket for $2-60. During the week public transport, like everything in the Sydney, is pretty overpriced but the Opal Sunday is one of the greatest bargains to be had anywhere in the world. When the flat rate ticket for Sunday was first introduced by Labor premier Nathan Reese in 2009 it was a family fun day ticket. Two adults and two children could travel all day for $2-50 with discounted entry into museums and other tourist attractions. For a brief, heady moment in time, just on Sundays, Sydney was a socialist worker’s paradise. Of course such generosity didn’t survive a conservative government but Opal Sunday is still a great deal and gets people on public transport for a cheap day out. 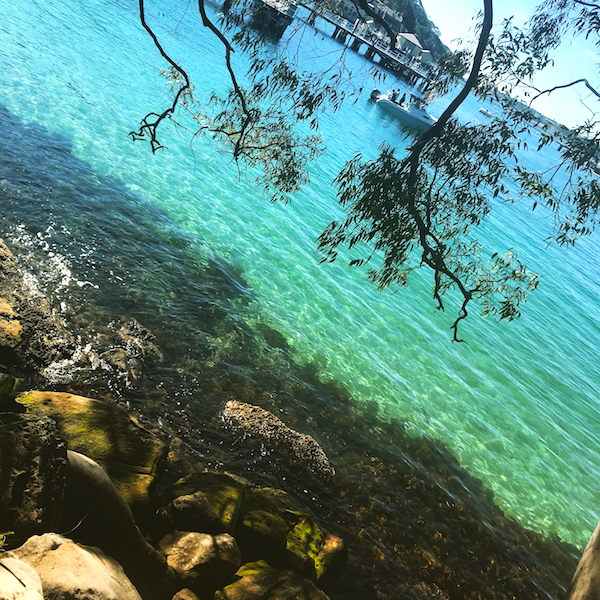 Last Sunday my friend Alice and I did one of my favorite harbour walks from Toronga Park Zoo to Balmoral Beach. I particularly love doing this walk on Sunday because it gets two ferry rides in which is always a bonus. 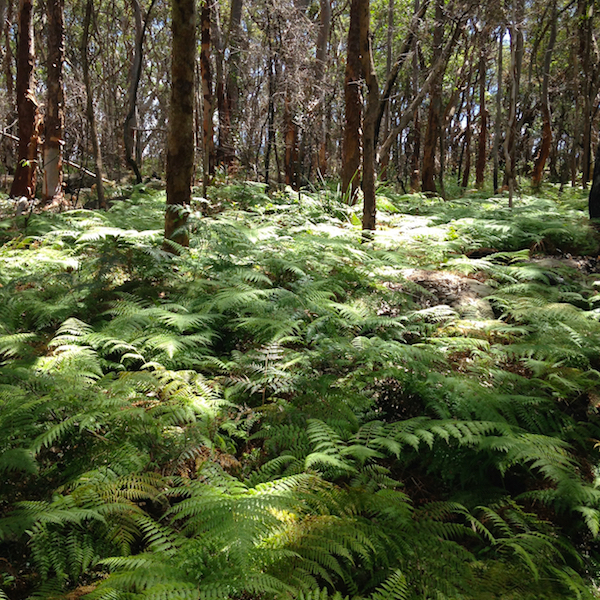 It’s a pleasant 2-3 hour walk with a few stops on the way and you can catch the bus back to the ferry wharf from Balmoral Beach so you don’t get too knackered by your big day out. Alice, as she likes to do, baked a cake for our morning tea stop at Bradley Point and I made these sandwiches because they are just the kind of sturdy sandwich you need for a bushwalk. 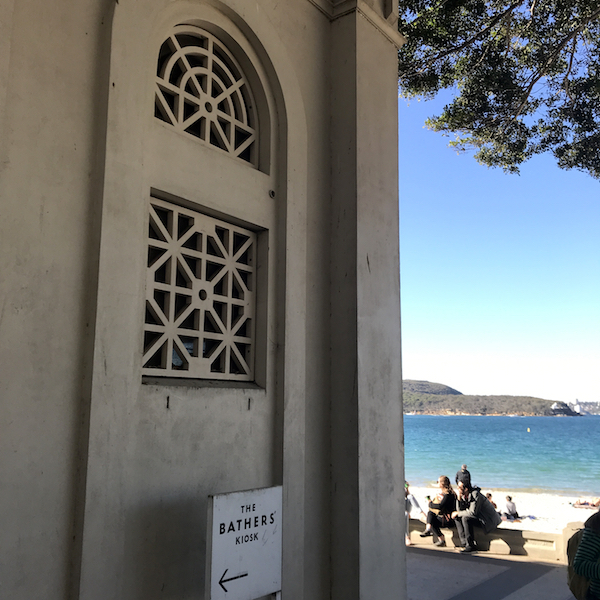 The kiosk at the Balmoral Beach Bather’s Pavillion does a good baguette sandwich for a reasonable price but taking a homemade lunch is far more economical and in keeping with the worker’s day out that is Opal Sunday in Sydney. These sandwiches are from a Food 52 post and are adapted from a sandwich from Campbell’s Cheese & Grocery in Brooklyn. I’ve done my own tweaks to the original and while they may seem to have a bit much going on to make early on a Sunday morning, all the elements can be made the night before, including dressing the kale (Which will last for a couple of days in the fridge once dressed). This recipe made two generous seed rolls for my bushwalk but there was also ingredients left over for three days of lunches for me to take to work plus pesto and ricotta to spare. I roasted purple carrots instead orange ones so that’s not beetroot in the picture but you could experiment with different roast vegetables to add to the sandwich and substitute rocket for the kale if you’re not big on kale. Place walnuts, parsley, lemon juice, parmesan in food processor process and add oil gradually until pesto is smooth with a nice consistency. Add salt to taste. Whisk together or process (you can make the vinagarette in the processor after the pesto) sherry vinegar, oil, maple syrup and minced shallot. Store in a glass jar until needed. Dress a good handful of kale per roll or sandwich. It will reduce quite a bit with the dressing. 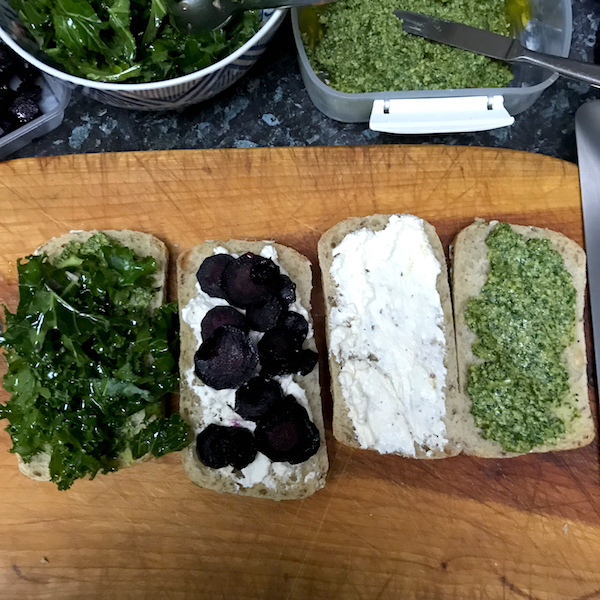 Slice rolls in half spread one side of the roll generously with ricotta the other with pesto. Arrange carrots in a layer over cheese, top with kale and top of bun. This was the best sandwich ever. A fitting match for the walk. I always am surprised at how pretty parts of sydney are, I just have such bad memories of the place. But I adore The Rocks and always stay there whenever I can. Just put me in history/nature and I’m FIIIIINEEEE. Also with two of these sandwiches, please and thank you.